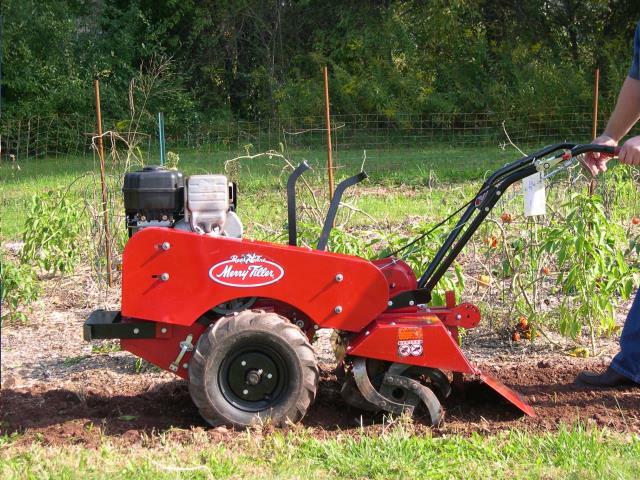 The Rear Tine Merry Tiller is a strong, durable, and easy to use REAR TINE tiller. The tiller is self-propelled with three forward gears (two for tilling) and a reverse. The tines and the wheels are driven by separate drives, the wheel drive being engaged with a hand clutch and an engaging lever for the tines. This is great for transport and allows for better tilling.